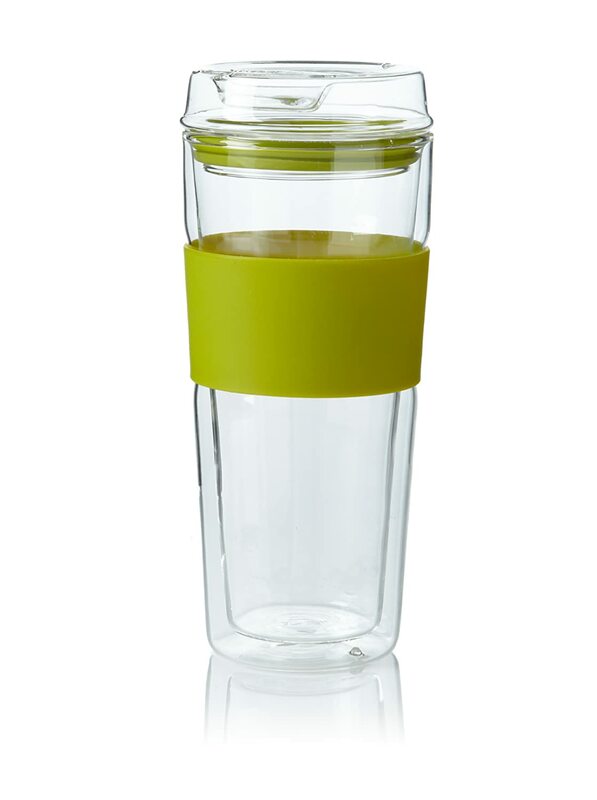 If you don’t want plastic and would rather not use stainless steel a glass-bodied travel mug is an excellent option. They are generally attractive and a bit unorthodox and they can perform very well as a travel mug for both coffee, tea, or cold drinks. 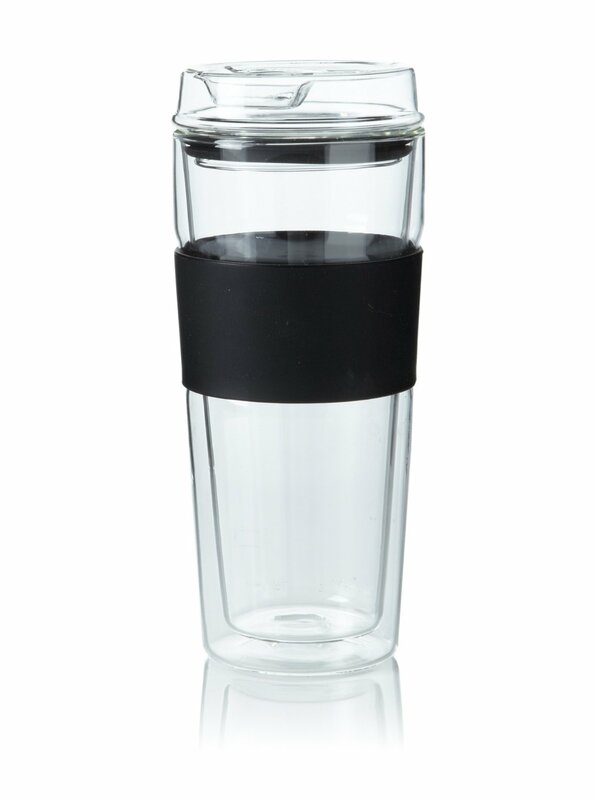 Glass can easily be made with a double walled design making glass travel mugs good performers for thermal retention. They aren’t ever going to be the best at keeping your drinks hot but they will do just as fine if not better than even the best plastic travel mugs. The biggest selling point of these mugs is that they do not use plastic – or at least they use far less plastic than many other options – and they generally cost less than high end stainless steel mugs. Here are some of my favorites in the category as well as a few of the best-selling glass travel mugs. All of these come with lids as you can plainly see in their pictures. You can also see this page for more of the best travel mugs for sale today by style. When you see a glass travel mug, it’s hard not to make a second look. It’s simple attractive. Not to mention you easily get curious when the content is bared out for you look at. Imagine: You are traveling and you just wish you have a coffee with you. Then suddenly, a person walks by with a glass travel mug with coffee. Tempting, right? How you wish you had one right now. 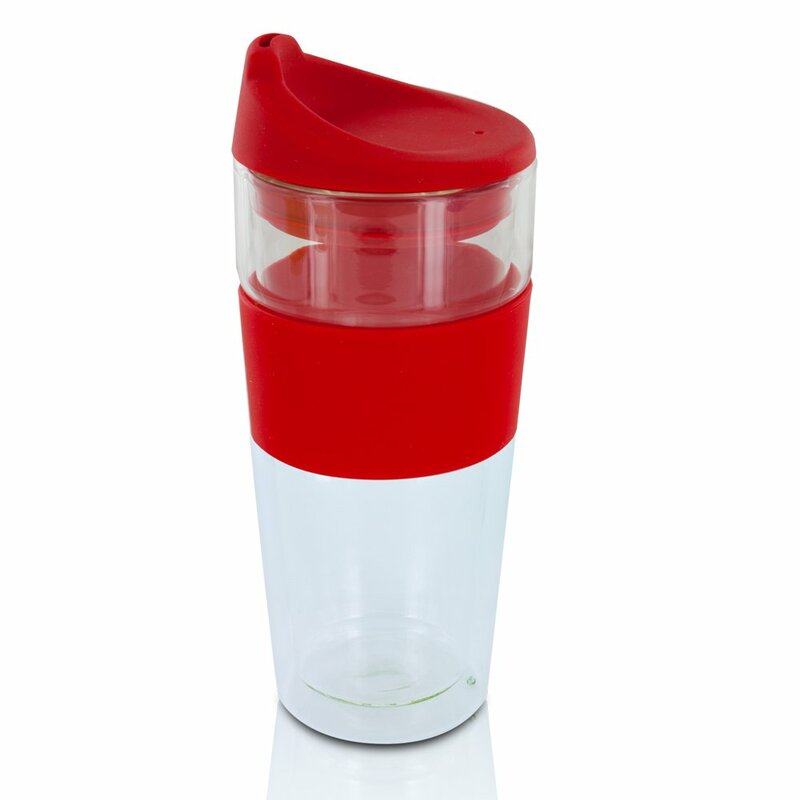 Many people today are opting for glass travel mugs because they just want to veer away from using plastic. 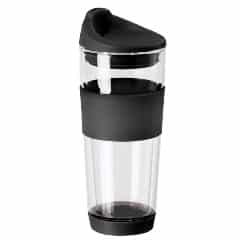 Maybe it’s a conscious effort to be environmental or it’s an act of necessity, glass travel mugs are becoming popular to travelers and people on-the-go. 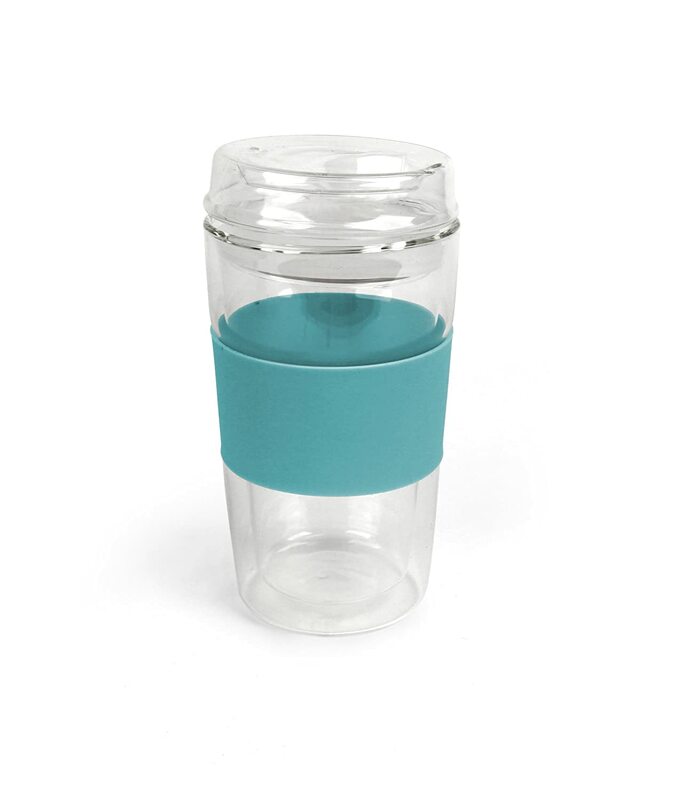 If you are planning to buy a tumbler made from glass I’ve got a few more top recommendations that I wanted to give you some extra information on to help you shop. Huswell Insulated Double Wall Glass Coffee Travel Tumbler, 10 oz. 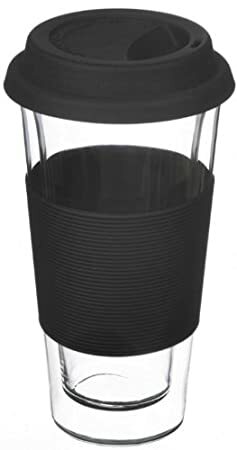 The unique shape and all-glass construction of the travel tumbler allow your to appreciate the aroma and color of your tea and coffee. No metallic smell or taste. BPA-free and lead free. Tough borosilicate glass allows liquids to shimmer as they are suspended in mid air. Boroux Bottles are 2 5/8″ in diameter making them easy to drink from, ice cube compatible, and easy to clean by bottle brush or dishwasher. Boroux Glass Bottles are a non-toxic, BPA free, eco-friendly, and reusable alternative to plastic bottles. 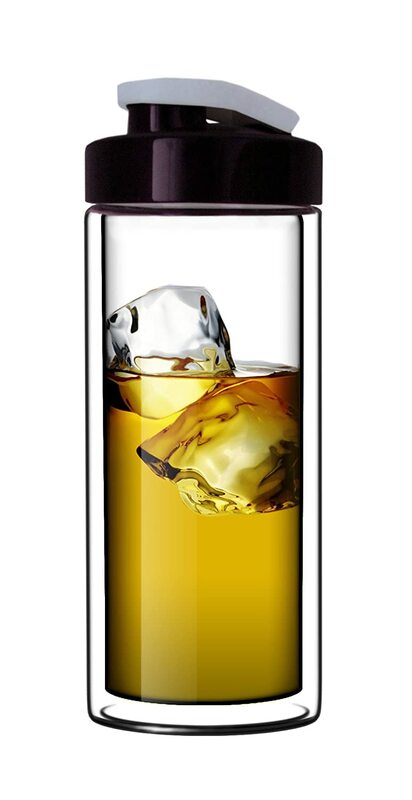 For your convenience, the openings on all of the bottles are wide for easy filling with ice cubes. The Surf is available with a choice of tops that are interchangeable, so you can mix and match to customize your bottle. Always follow manufacturer’s instruction in terms of usage and cleaning. Make sure to clean your travel mug after each use. This will prevent molds and dirt build up. If you want to put hot drinks in your glass, make sure it’s insulate or has a double wall system so you avoid any accidents when holding it.